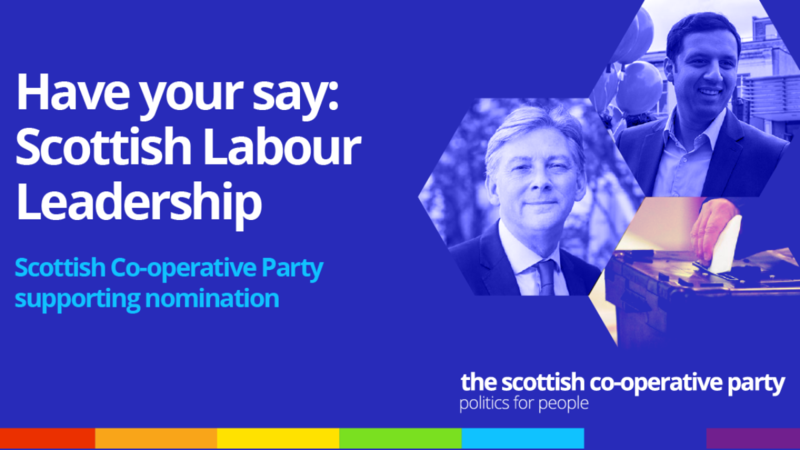 After balloting our membership, the Scottish Co-operative Party gave its supporting nomination for the Scottish Labour Party leadership campaign to Richard Leonard. Voting in the election began on Friday 27th October and finishes on Friday 17th November at 12 noon. Whilst we have nominated Richard Leonard we are pleased to say that both candidates are long-standing co-operators. We asked both candidates to tell us what they would have do to promote the co-operative movement in Scotland if elected as Scottish Labour leader. I am standing to lead the Scottish Labour Party because I believe it is time for change.